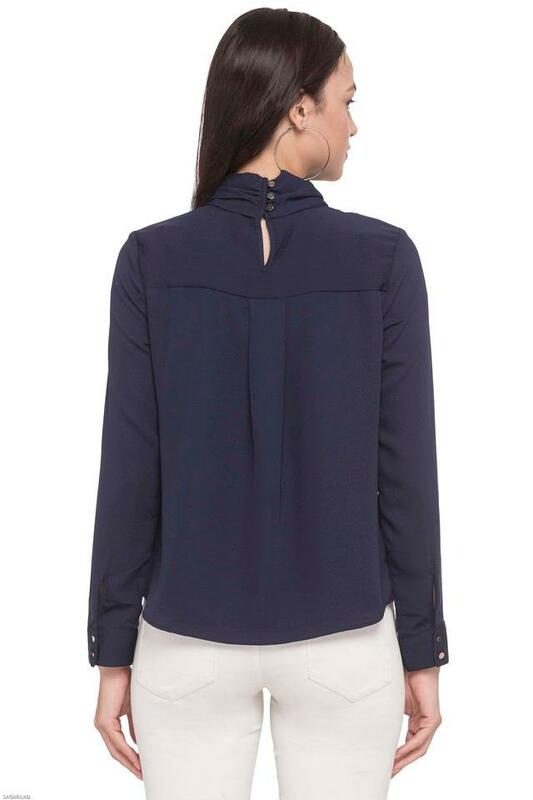 Cut to a relaxed silhouette, this top from Van Heusen is perfect for a casual day out. 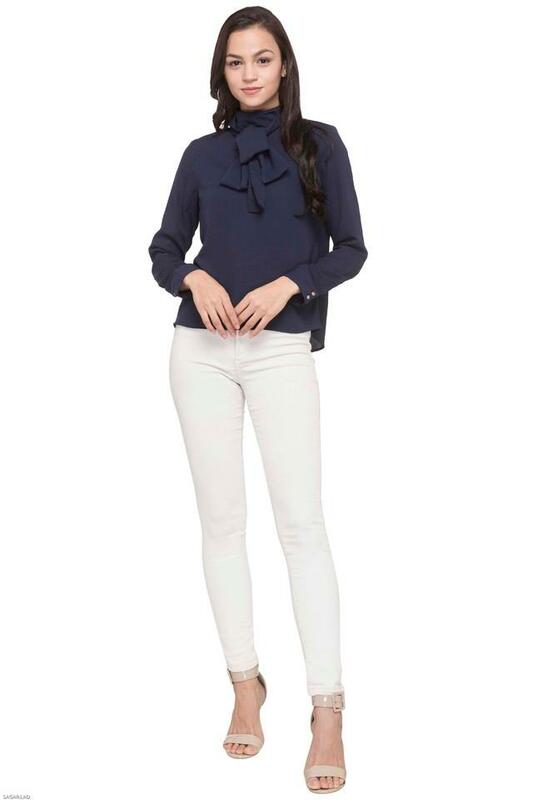 Made from good quality fabric, this top will be perfect according to your convenience. 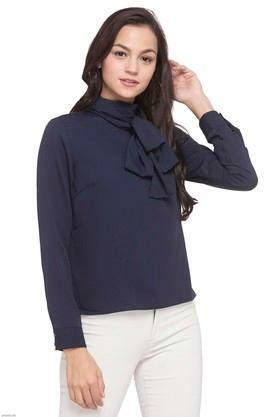 Featuring a tie up neck, full sleeves and solid pattern, this top possesses a stunning urbanity.